At Au we are inspired by the healing and antibacterial properties of New Zealand Active 16+ Manuka Honey, which has found worldwide critical acclaim for topical efficacy. We have taken this powerful ingredient which promotes the growth of good bacteria whilst at the same time eliminates bad bacteria and combined it with concentrated active natural ingredients, healing enzymes and natural pre-biotics, designed to feed the skin. Our goal is to use these ingredients to strengthen the skins natural barrier function so that it can use its own defence system to fight environmental damage. When it comes to skin, we believe that nature knows best! Nature is innately intelligent. Au Natural Skinfood embraces the scientific power of nature to repair and strengthen your skin, keeping its natural defences in check. The anti-bacterial and scientifically proven restorative properties of New Zealand-native manuka honey are used in skin-based medical applications throughout the world. New Zealand Active 16+ Manuka Honey is renowned for its antibacterial, and powerful anti-aging and healing qualities. 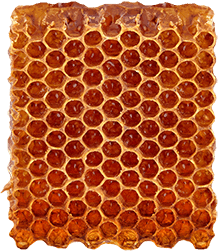 Its additional bioactive components make it distinct from other honeys. It is rich in carbohydrates, proteins, amino acids, essential fatty acids, vitamins B & C, minerals, antioxidants and sugars. Together they provide nutrition, enhance skin cell repair and renewal, and promote collagen production. Au Natural Skinfood's independent scientific research has shown that Active 16+ Manuka Honey enhances skin cell renewal by more than 80% compared to other natural skincare products. High levels of antioxidants slow the skin's oxidation process and protect the skin’s natural barrier from damage caused by free radicals and UV rays. As a humectant, it attracts water within the skin, improving moisture and hydration levels and helping to improve skin texture. By drawing healing fluids and nutrition to damaged tissue it heals scar tissue. At Au Natural Skinfood we know that prebiotics are found in Manuka Honey, these prebiotics encourage the growth of good bacteria on our skin and help to manage bad bacteria. NZ Manuka honey has many healing properties. With this knowledge our team at Au Natural decided to use this key ingredient in concentrated levels in all our essential products. Our products are carefully designed to strengthen our skins barrier function, so that we can use our own skins natural defence system to fight environmental damage and common skin complaints. Our products are designed with this philosophy, to suit all skin types and ages. New Zealand Maori have used Manuka Oil from Manuka, the native tea tree, for centuries. It is produced from leaves cut from the bush, without causing damage to the plant, that are compacted and steamed. 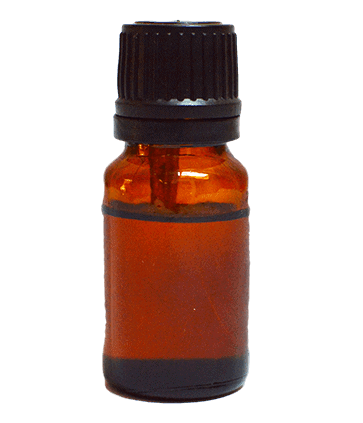 Known and utilised for its extraordinary properties, the extracted oil has a number of applications. 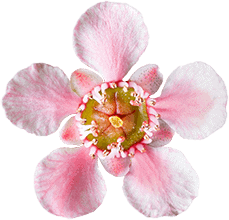 As a therapeutic scent in aromatherapy, it is a potent remedy for relieving stress. Antibacterial, Manuka Oil is instrumental in calming irritated skins and preventing acne. It also helps to strengthen the skin's natural defence and barrier system, making it an important ingredient in Au Natural Skinfood’s products. Au’s quality, concentrated New Zealand pure Bee Venom is harvested naturally from an Apiary in the South Island called Whitestone Ridge. On this Apiary owner Will, confesses that he may like bees more than people. 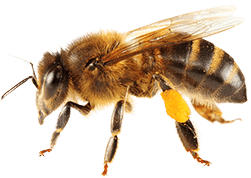 Our Bee Venom is harvested naturally and kindly from honey bees. Bee Venom has many positive effects on the skin and is often used as a natural alternative to Botox and more invasive clinical skin treatments. The main component of Bee Venom is, Melittin which has antibacterial properties and supports blood circulation to the deeper layers of our skin, causing the skin to react, as though lightly irritated. By micro-damaging the skin we encourage the skin to use its own defence system via the production of collagen and elastin, causing micro-repair and strengthening of our skins natural barrier. Our independent scientific research indicates that the Bee Venom used in Au’s products will enhance skin cell renewal by more than 80% compared to other natural products. The organic Kiwifruit extract used in Au’s products is grown in the Bay of Plenty right here in New Zealand. Kiwifruit extract is rich in good quality essential fatty acids and hardworking anti-oxidants. It contains high levels of vitamin C and has been scientifically shown to inhibit melanin production. Its unique lightening and brightening effect helps to restore clarity and reduce the appearance of redness, dark spots and skin pigmentation caused by the ageing process. 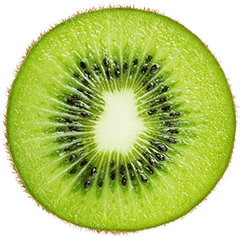 The enzyme Actinidin present in Kiwifruit extract aids in the process of desquamation – the management of dead skin cells – enabling new skin to reach the surface. Lastly as a fruit acid, Kiwifruit extract helps to maintain the skins natural pH balance and helps to restore a healthy barrier function back to our skin. The Avocado Oil in Au products is sourced from the Bay of Plenty in New Zealand, one of the world’s finest avocado growing regions. 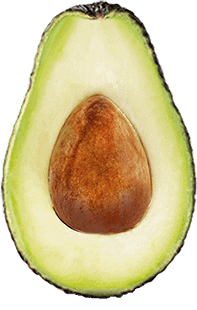 The nutrient-rich volcanic soil and high sunshine hours play an important role in producing the high quality avocado fruit. New Zealand Avocado Oil provides nourishment for the skin. It is rich in anti-oxidants, essential fatty acids, vitamins A,D & E, potassium, and lecithin, which are the primary skin-feeding nutrients. These are easily absorbed through the epidermis, the outermost layer of the skin, and into the dermis. Here they provide energy for the fortification of existing cells and boost the skin's ability to generate new, stronger cells for the growth and health of new skin. The Grape Seed extract used in Au’s products is derived from grape seeds, grown in the Marlborough region of New Zealand. Grape seeds are a by-product of the wine industry that traditionally were costly and difficult to dispose of. The presence of numerous anti-oxidants and flavonoid compounds in Grape Seed extract have been linked to improved skin appearance. By eliminating oxidative stress and improving elasticity the Grape seed extract helps to reduce fine lines and blemishes whilst promoting the growth of new healthy cells, keeping the skin looking healthy. Ponga Fern is a species of fern, that grows freely in the forests of New Zealand. For centuries Maori people have applied the pulp from young fronds of the Ponga Fern directly onto wounds to repair and protect the skin, often visible results are apparent within days. 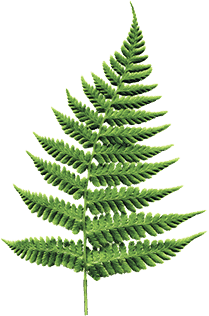 A unique composition of polysaccharides derived from the Ponga Fern forms an elastic, resistant and continuous film on the surface of the skin, improving cutaneous relief and prolonging the improved appearance by preventing skin slackening. The New Zealand natural botanicals in Au Natural Skinfood include super-fruit extracts from a highly bio-active blend of blackcurrants, boysenberries, grapes and kiwifruit. This special formulation also includes plant extracts and botanical oils known for their anti-aging properties, and potent antioxidants that help to diminish the damaging effects of the sun and damage done free-radicals. It also improves skin elasticity and increases moisture retention. Harakeke is the Maori name for New Zealand flax, a luxurious botanical moisturizer that is packed with linoleic acid, which boosts the skin’s barrier layer, helping to seal in natural moisture. 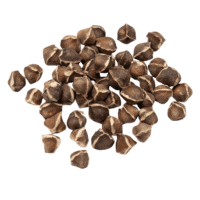 Au sources its Harakeke seeds from the Tasmin district of New Zealand, it is non GMO. Harakeke seeds are rich in Omega 3 and Omega 6, (EFA’s – essential fatty acids) making them super nourishing for our skin. EFA’s are not produced naturally within our bodies but they do play an important role in the health of our skin, EFA’s can help to regulate our skins cell function by aiding the control of trans-epidermal water flow. This in turn will thicken our skin and help to naturally improve our skins barrier function. EFA’s can also be a good solution in improving acne, by promoting healthy cell renewal and dissolving the fatty deposits that block our pores we help the skin to naturally repair and strengthen. 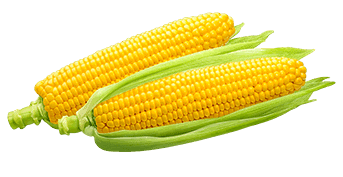 Au Natural Skinfood uses Pure Ribrose which is a natural pentose obtained from corn seeds. Pure Ribrose is a key molecule present in all living cells necessary for the synthesis of ATP used in every cell metabolic reaction as a source of energy. Pure Ribrose – The sugar of life A sugar that occurs in all living cells. It restores energy to the skin for a global anti-aging action. Over time skin cells undergo various stresses (e.g. pollution, physical effort, tobacco smoke and ageing) which make the ATP reserves fall, thus altering cell functioning, leading to an acceleration of ageing process, appearance of wrinkles, loss of elasticity and dull complexion. Ribrose is a fundamental building block of the ATP molecule. To function efficiently, skin cells must keep their ATP content at a maximum level. By supplementing skin with Ribrose, cell energy recovery is accelerated by inducing faster ATP synthesis and providing optimum condition for skin cell to fight the signs of ageing. Au Natural Skinfood has chosen this complex which is composed of 9 berries with complementary activities including deeply moisturising, antioxidant activity and restructuring activity. 1. Acai (Euterpe oleracea) Acai is a berry coming from an ornamental palm, with multiple branches, which can reach up to 25 m in height. 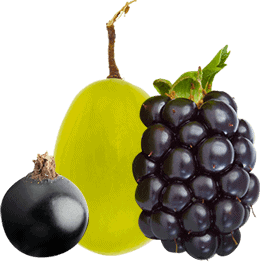 The small round fruit is purple and born in bunches of 3 to 8. The fruit is highly nutritional and so is very valued by the Amazonians for use in wine or as a juice, and it is an important and popular dietary complement. Consequently, sportsmen traditionally used it too. Also, acai was known for its antioxidant, anti-ageing and anti-inflammatory properties. 2. Bilberry (Vaccinium myrtillus) Vaccinium myrtillus is a shrub with permanent leaves. The fruit is a round and flat topped berry, very abundant in mountainous regions of North hemisphere. The bilberry was traditionally used as an anti-oxidant, astringent, antiseptic and tonic. Moreover, it is traditionally used to wash for sores and wounds, and for dry eczema. During World War II, British Royal Air Force pilots ate bilberry preserves before missions in order to improve their vision. 3. Strawberry (Fragaria vesca) Strawberry is a delicate, thin-leaved and perennial growing plant, with small, scarlet berries, cone-shaped and studded with tiny, brown seeds. The fruit has a specific fragrance and flavour very delicate and sweet. It is traditionally used as astringent and tonic. Also, strawberry is often utilized against acne and eczema. It largely employed for reducing superfluous flesh locally, and to whiten skin naturally, to remove freckles and to preserve complexion. 4. Cherry (Prunus cerasus) Prunus cerasus is a deciduous tree growing up to 6 m. Fruits are round and red, almost black, and very sweet. In Taoist Chinese medicine, eating cherries is recommended to treat sore throat. Then, in the Middle Ages, doctors and herbalists form the Salerne school in Italy employed it to clean the organism. It is traditionally used as antioxidant, astringent, anti-inflammatory and tonic too. 5. Black mulberry (Morus nigra) Black mulberry is small bushy-headed tree, with large, alternate, deciduous lobed leaves. This tree is 6 to 9 m high with oblong, short-stalked fruit about 2.5 cm of an intense purple. Mulberries are extremely juicy and have a refreshing and sub-acid taste. It has a long history of medicinal use in Chinese medicine for its numerous properties as antioxidant, antiseptic, astringent, analgesic, emollient... 6. Wild blackberry (Rubus fruticosus) Blackberry or bramble is a deciduous bush to 3 m, growing in many hedgerows. The fruit is bluish black at maturity in September and is formed from the aggregation of carpels modified and transformed into drupelets that remain adherent to the floral receptacle. Blackberry is traditionally employed for the treatment of skin rashes, wounds, ulcers, infections and to soothe inflamed mucosa. Then, the London Pharmacopoeia of 1679 describes ripe blackberries as excellent restorative. 7. Cranberry (Vaccinium oxycoccos) Cranberry is a creeping evergreen perennial shrub, growing to 0.1 m by 1 m, with edible berries of up to 13 mm in diameter. 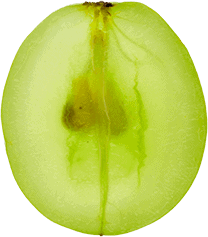 The fruit is a small pale pink berry, with a refreshing sharp acidic flavour. Ripe fruit or its juice is recommended to treat infections and more especially for prevention and treatment of urinary tract infections. Moreover, the small cranberry is very well know for its antioxidant properties. 8. Raspberry (Rubus idaeus) Raspberry is generally a perennial plant which bear biennial stems and grows up to 1.5- 2.5 m, bearing large pinnate leaves. The fruit is an aggregate fruit of numerous drupelets around a central core. It is red, edible and flavoured: the ripe fruit is fragrant, sub-acid and cooling. Traditionally, raspberry is used for its astringent and stimulant properties. 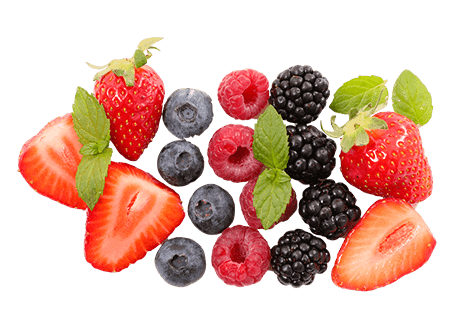 Moreover, these berries are used as an external wash for sores, wounds and skin rashes. 9. Lingonberry (Vaccinium vitis-idaea) Lingonberry is a short evergreen shrub that grows from 10 to 40 cm in height, with alternate and oval leaves. Fruits are edible berries of 6–10 mm across, ripening in late summer to autumn. Berries are sour, slightly sweet and slightly bitter. Mature fruits are traditionally used as a treatment for infections. It is well known for its antioxidant, antiseptic and anti-inflammatory properties. Retinyl palmitate is the ester of retinol (vitamin A) combined with palmitic acid, a saturated fatty acid and a major component of palm oil. The retinyl palmitate that we use in Au’s products is imported and is certified to be sourced from sustainable sources of palm oil, it is free from the risk of allergens regulated in the US, does not contain any alcohol or animal product and has never been tested on animals. It is not considered to be the same ingredient as retinol, although it is converted to retinol, and then to the active component of retinoic acid once it is absorbed by the skin after being topically applied. It belongs to the family of chemical compounds known as retinoids and is one of the most important vitamins for the appearance of the skin because of its small molecular structures. These tiny molecules could penetrate the outer layers of the skin and work to repair the lower layers where collagen and elastin reside (source). Retinyl Palmitate is an effective skin conditioning agent. It reduces flaking and restores suppleness, thus improving the appearance of dry and damaged skin. It is also an effective antioxidant improving collagen production and plumps skin, helping smooth out fine lines. Retinyl palmitate is found naturally occurring in our skin, where it works as an antioxidant, particularly helping to protect our skin from UV light exposure—though it does not replace the need for sunscreen. Au’s Face Oil is lightly fragranced with natural vanilla oil, making it feel deliciously like a treat for your skin. 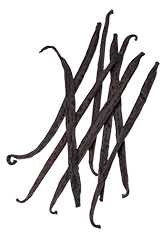 Vanilla oil plays an important role in maintaining healthy skin, the anti-oxidant properties of vanilla help to protect your skin from damage caused by environmental pollutants and toxins. 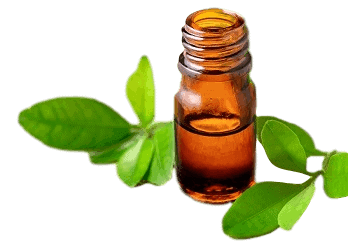 Glycerin is a natural component of healthy skin, it is a clear, colourless and odourless liquid. Derived from vegetable sources it is hygroscopic which means that glycerine can draw moisture from the air around us and help keep that moisture in our skin. Research has shown that glycerin mimics what is know as skins natural moisturising factor (NMF), which is why it is compatible with all skin types, of all ages. Replenishing skin’s NMF is important because it becomes depleted as we age, are subject to exposure and use irritating topicals. A great benefit of glycerine is that it enhances the penetration of other key ingredients into the skin’s uppermost layers (stratum corneum) and at the same time has a cooling effect. Au Natural skinfood works by naturally strengthening the skin’s barrier and increasing its resistance to environmental damage. Instead of using targeted ingredients to treat specific skin conditions, we carefully formulate our products to work on their own as a multi-tasker or to be used in combination for enhanced results. Au is ideal for all skin types, age, gender, ethnicity and is safe for use during pregnancy. Healthy skin for life!